There's only one thing better than a job well done, and that's acknowledging a job well done. 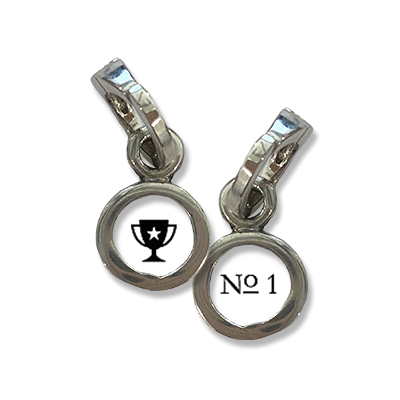 Let the high-achiever in your life know you value their strides and accomplishments with our "Number 1" charm. Small in size but grand in sentiment: "No. 1" adorns one side while a trophy cup appears on the other. Add our Twinkle Star, Sparkle Arrow, or Princess Crown Trinket for emphasis.